There are a lot of new exciting things coming to Universal Studios in the next few months and year... perfect timing! 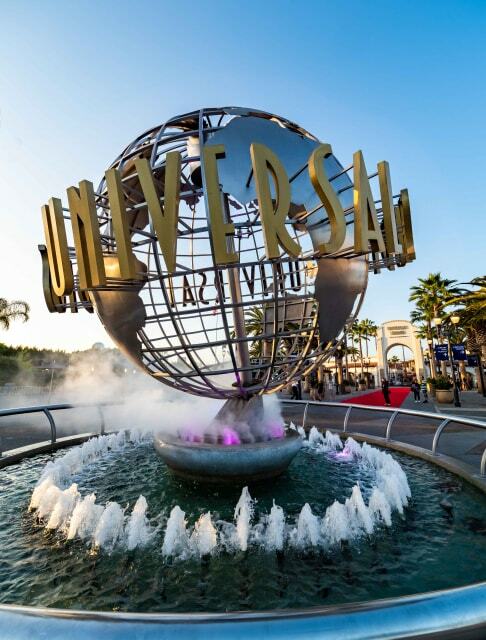 Starting today, Universal Studios Hollywood’s popular California Neighbor Pass returns, inviting guests to enjoy over 175 select days of fun for $149. The California Neighbor Pass is a must-have for anyone looking to enjoy limitless entertainment exclusive to Universal Studios Hollywood, including the all-new “Dark Arts at Hogwarts™ Castle” at “The Wizarding World of Harry PotterTM” this April and the highly-anticipated “Jurassic World—The Ride” opening this summer, as well as the theme park’s many exciting thrill rides and attractions. The California Neighbor Pass enables guests to choose any day for their first visit and return to enjoy Universal Studios Hollywood for more than 175 days over nine months, including select weekends, for $149 when purchased online. Special discounts on general admission tickets for friends and family to the theme park along with the popular “Halloween Horror Nights” and special events are included in this season pass program. Additionally, pass members can enjoy sweepstakes opportunities and discounts at participating CityWalk locations.